Sierra's View: Kool Off with a Kool Aid Fruit Juice Slushie! Well, summer is officially here, people! It is now June and the sun is starting to get hot! I don't know about the rest of you, but this means that I will need to start cooling down! Now, sometimes my mouth needs something a little more than just water--it needs a sweet kick to it! 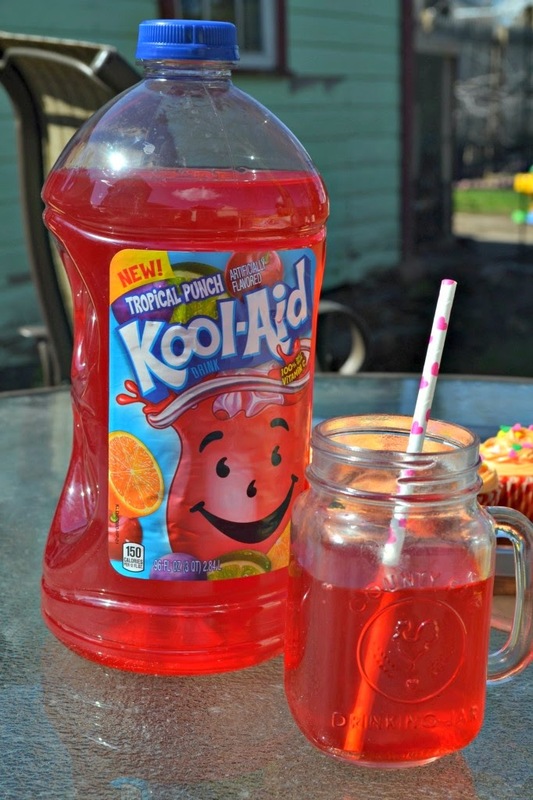 So, I decided to #KoolOff with with a delicious fruit drink, Kool Aid, with the help of #collectivebias. I love to come up with creative beverages to make this drink have a little more pizzazz to it! So I created a delicious Kool Aid Slushie! First, I went to Walmart and picked up a delicious 96 oz. Bottle of Kool Aid (I chose tropical punch) and some Kool Aid packets (watermelon flavor) These were located in the "Juice" and "Drink Mixes" aisle. Then, I went home and mixed up some delicious slushies. 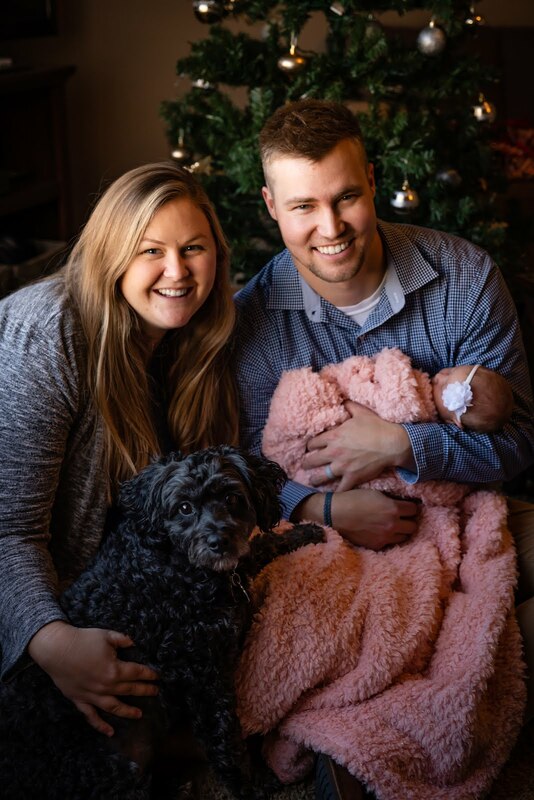 See below for more info. 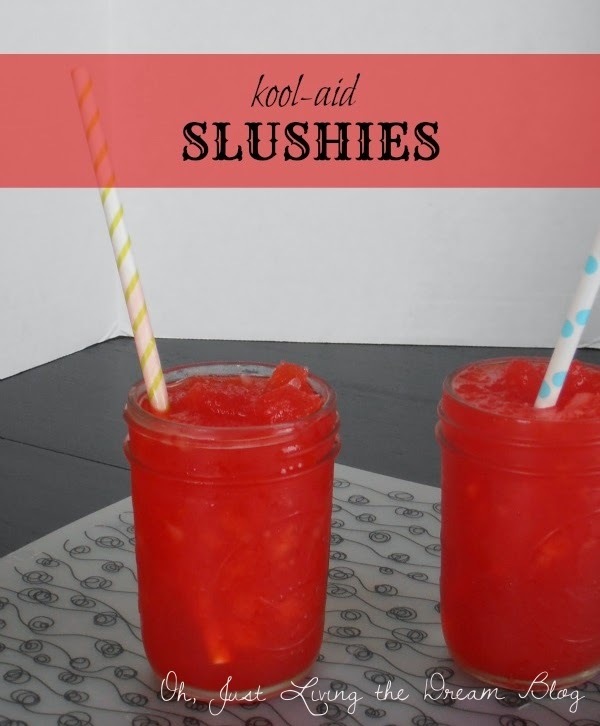 Pour Kool-Aid juice (or packet), and sugar together. Process till smooth and dissolved. Add the ice and blend until smooth. Add 1cup of club soda if you so desire and blend. It should be slushy but put it in the freezer for about 45 minutes to thicken up. ENJOY! 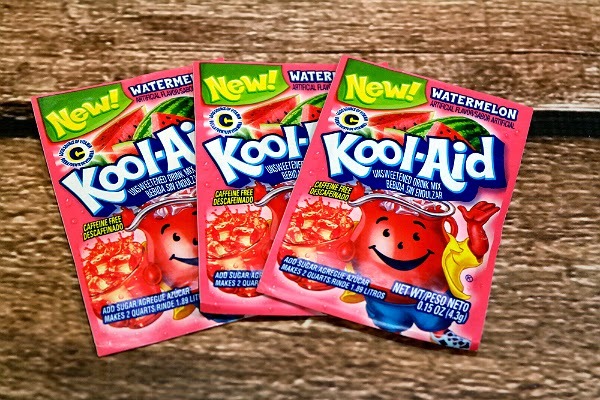 I grabbed some awesome Kool Aid packets (watermelon flavor) as well to mix in for a fruit slushie as another option. These worked great as well, but you will definitely want to add club soda in if you have the packets! I also enjoyed this drink outside on a warm day yesterday in a lovely glass. Ah, the simplicities of life. Come over for a Kool Aid drink today :) I'm always up for a cold drink outside! P.S. Jim Dillard, pro fisherman, could be coming to your local Walmart to help promote the new 96oz Kool-Aid bottles! There will be product giveaways, t-shirts, games, and more fun activities! 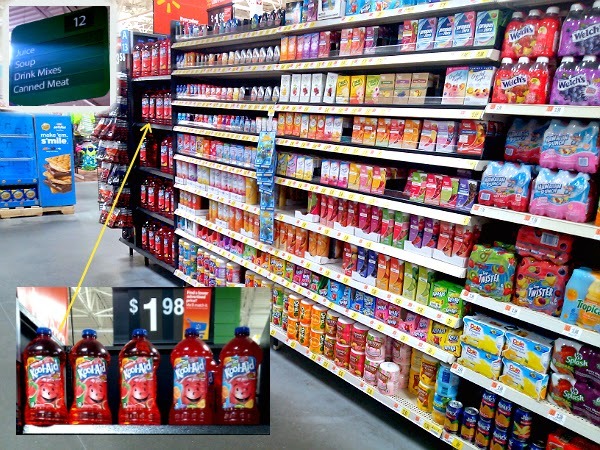 If you are located in AL, TN, KY or SC let me know and I will give you more info-- he may be at your local Walmart!